THE PAULA RYAN WAISTED SIGNATURE CIGARETTE IS ONE OF THE ESSENTIALS FOR ANY GIRLS WARDROBE. 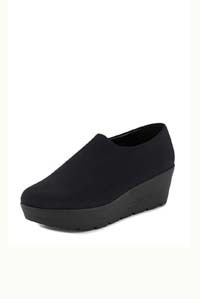 THE FULL LENGTH STYLE FEATURES A SIDE ZIP AND NARROW LEGS. MADE IN NEW ZEALAND FROM CLASSIC MICRO JERSEY, IT IS A GREAT PIECE FOR TRAVELLERS. CONSISTING OF 72% MERYL AND 28% ELASTANE. REFER TO SIZE GUIDE FOR MORE INFORMATION. For Australian orders, please allow 3 business days for online orders and an additional 1-2 business days for orders delivered to locations outside of metropolitan areas. International orders will have an approximate delivery timeframe of 7-10 business days, depending upon your location. During the holiday season or sale periods, we would appreciate your understanding in allowing an extra 3 business days for your order to be processed before shipping.